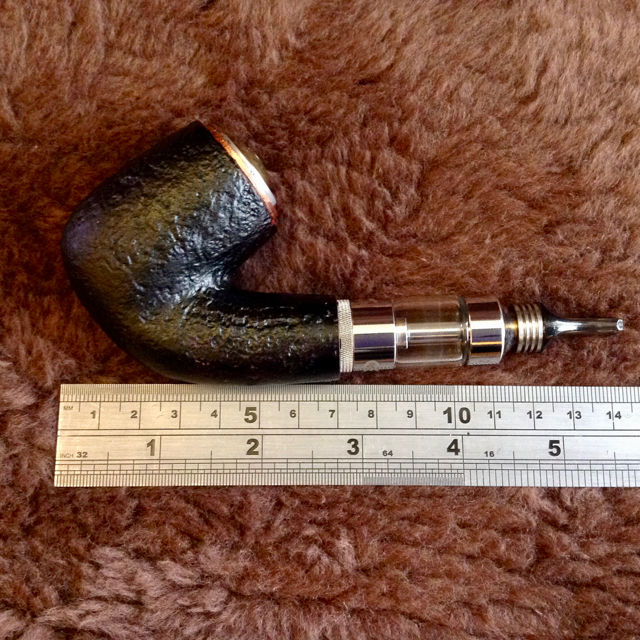 Posted in E-Pipe, Electronic Pipe, Epipe. 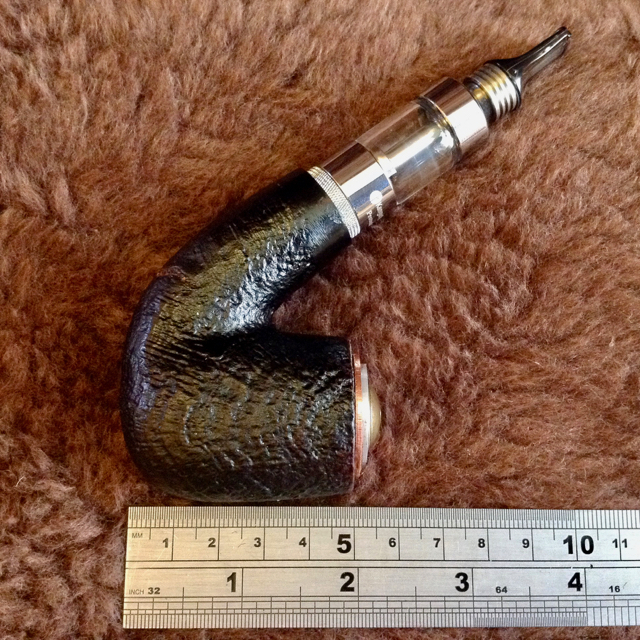 Tagged as E-pipe, Electronic Pipe, Epipe. Electronic Pipe* and the accessories to make it work, just add your own juice! 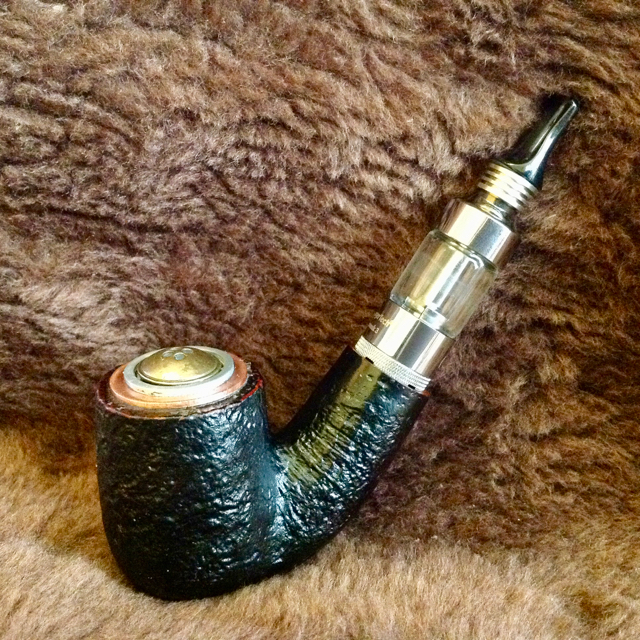 This E-Pipe is made from a recycled estate tobacco pipe. This pipe has scuffs and scratches. This epipe is manual** has a 800mAh Efest IMR 18350*** battery built in and has a 510 connector. 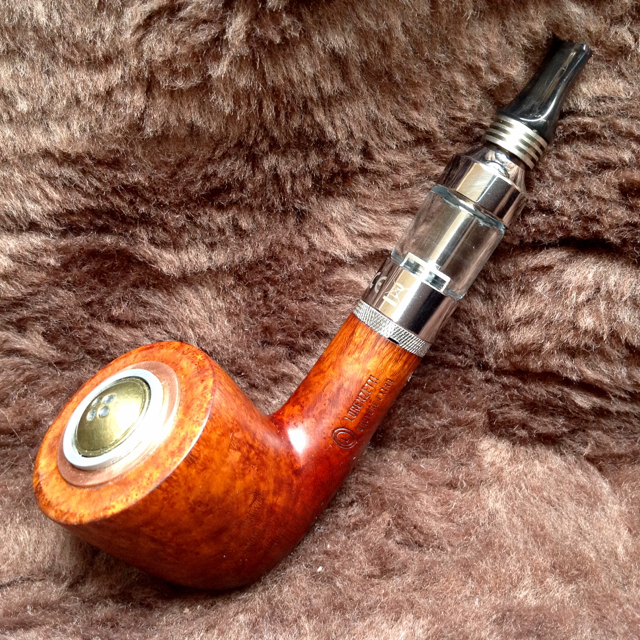 * Electronic pipes, sometimes referred to as epipes or e-pipes, do not use tobacco, instead they use E-Liquid. The electronic pipe heats the liquid in an ‘atomiser’ supplied, producing a vapour that provides an experience similar to pipe smoking. My electronic pipes can be legally used anywhere as they do not burn tobacco, it is however wise to inform the proprietor or landlord about this so they don’t panic. I find that most pubs and restaurants welcome me smoking my electronic pipe, but my workplace doesn’t. The atomisers are disposable items and will need to be replaced regularly to keep you electronic pipe functioning at it’s optimum level. ** A manual electronic pipe requires the user to push the button to produce vapour. Manual electronic pipes are more reliable than automatic pipes. *** The battery in your epipe is of the highest quality, according to reviews it will last a very long time. It has been stated that even after 500 recharges it will only be down to 80% of it’s original capacity. Your e-pipe is fully repairable and recyclable should you ever need to change your battery please contact Mycroft. **** Your electronic pipe comes with a 510 connector. This is the most common connector used by vaping atomisers. The next most common is the eGo connector. Your epipe is supplied with an eGo adaptor. This gives you a great deal of flexibility of choice when choosing atomisers as you can use both 510 and eG0 atomisers with your pipe.